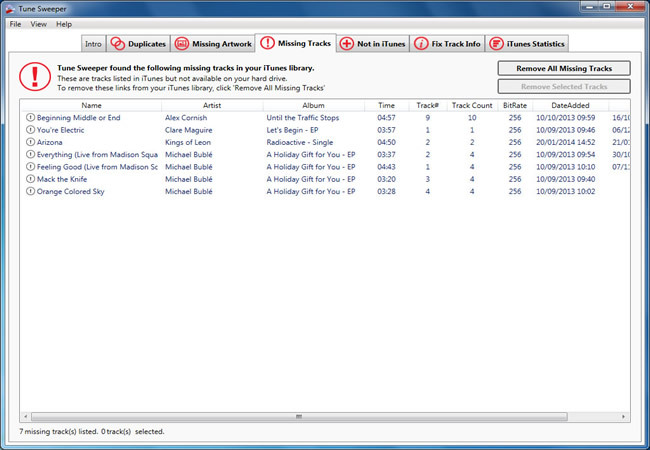 Why does Tune Sweeper display all my tracks as missing? Tune Sweeper displays all my tracks as missing. If your music library is stored on a network drive or on an external USB drive please ensure that Finder (on a Mac) or Explorer (on a PC) can view and browse these files before starting Tune Sweeper. What are the free demo restrictions in Tune Sweeper? What are the minimum system requirements for Tune Sweeper?